Flooring Installation with Leister | Vinyl Floor Welding - STANMECH Technologies Inc.
For welding floor coverings made of PVCP, PE, linoleum and modified thermoplastics. The MINIFLOOR drive unit turns your TRIAC into an automatic welder in seconds. For dust-free grooving of PVC-P, PE and linoleum floor coverings. 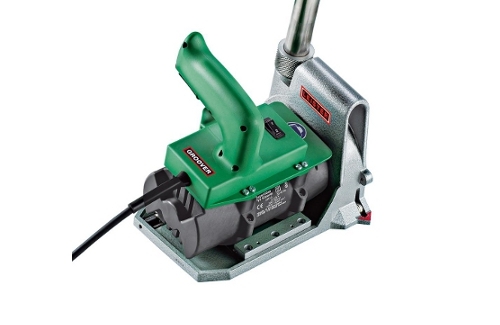 The new GROOVY is a lightweight, handy tool for grooving floor coverings made of PVC or linoleum. 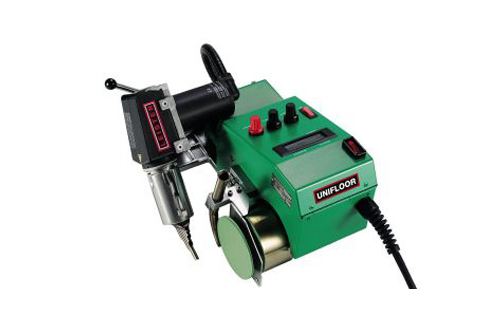 ​The Leister UNIFLOOR is a fast, reliable welding machine for installing linoleum, rubber, PVC, or TPU flooring surfaces. This quick how-to guide will get you started welding flooring in no time! While Laser IR Thermometers are an extremely common tool, they are entirely ineffective for measuring the outlet temperature of an air heater. To understand why, we must first understand how this tool works. Laser IR Thermometers measure the surface temperature of an object by measuring the thermal energy emitted by the target. Knowing the amount of thermal energy discharged and the emissivity of an object’s surface, the objects temperature can be determined by the device. Before welding, the seam edges must be milled or grooved to approx. 2/3 of the thickness of the material. The welding rod is then welded into the groove to create a strong bond. It is important that the welding rod fully penetrates the milled groove otherwise the seam may fail prematurely. Electrical certification is a must for any electrical tools bought, sold, or used in Canada. Tools must be tested by an accredited certification organization to determine that they meet the applicable safety standards and adhere to the Canadian Electrical Code. The Standards Council of Canada handles the accreditation of inspection bodies and together with provincial Safety Authorities oversees enforcement. Established in 1981, STANMECH is your local Leister distributor. Our knowledgeable staff are here to answer any questions you may have about Leister tools. Our in-house repair centre is the only Authorized Leister repair centre in Canada and uses only genuine Leister parts in all repairs. Located in Burlington ON, our warehouse stocks equipment, accessories, and parts to ensure quick delivery to our customers. 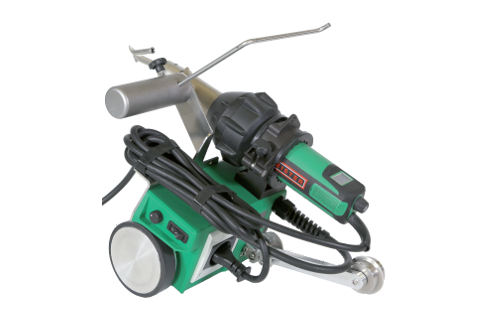 Leister Technologies AG has over 60 years experience building hot air tools for flooring installation professionals. 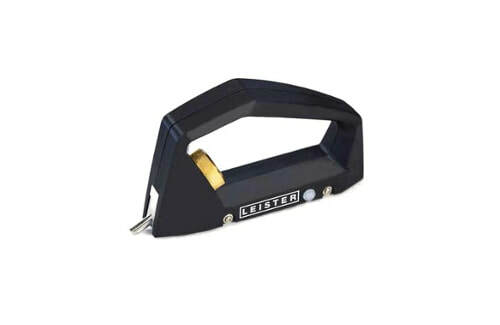 Leister tools are known for their high quality and long service life. Requiring little regular maintenance, tools need only be cooled before they are turned off to prolong the life of the heating element.